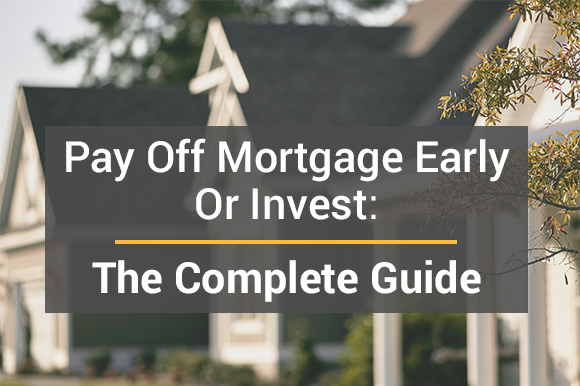 Is Paying Off Your Mortgage Early Always the Best Decision? Being debt free is a top financial goal for most Americans. A mortgage is the biggest debt most people will ever have. It’s typically the largest balance showing on your credit, as well as the largest chunk of your monthly bills. Is Paying Off Your Mortgage Early Always the Best Decision. NSH Mortgage has the knowledge to help Florida home buyers understand their mortgage needs. With that, it makes you feel the need to be mortgage-free. But is paying off your mortgage early always the smartest financial decision? Sometimes it is, but for some homeowners, keeping the mortgage yields even bigger advantages. According to the Employee Benefit Research Institute, “the portion of families whose debt payments are excessive relative to their incomes are at or near their highest ranges since 1992.” All debt is not identical. Since most of us cannot exist entirely debt-free, it’s important to understand the differences between good debt and bad debt. Simply put, good debt is an investment that will increase your net worth and which will aid you to generate long-term value or income. Good debt also allows you to manage your finances more effectively, to leverage your worth, to buy items you need and to handle unanticipated emergencies. Financial experts agree that a mortgage loan is considered good debt because it not only has lower rates than most other debt, usually mortgage interest is tax deductible. Therefore, even the wealthiest individuals who do not need a loan will often opt for a mortgage when buying a home. A great example of this is Facebook’s creator Mark Zuckerberg. Even at a net-worth of $53 billion, Zuckerberg did not pay cash for his recent home purchase. On the other hand, bad debt is typically acquired when purchasing things that arise out of want, rather than need. These items lose value quickly and do not generate long-term income. Credit card debt is one of the most standard examples of bad debt. Credit card debt is not tax-deductible, and often piles up quicker than most people realize. Bad debt can also stem from payday loans, expensive vacations, luxury items like jewelry, and expensive clothes. Paying off your mortgage early could be wise for some. Not all homeowners know how to deduct their mortgage interest. Unless there is a tax break, the actual cost of your mortgage is higher. Paying off your mortgage early could make sense here. For homeowners who pay Private Mortgage Insurance (PMI), it may be clever to pay more than the necessary mortgage payment amount. That pays down the loan significantly faster and allows the homeowner to cancel PMI sooner. Generally, lenders quote PMI to homeowners with less than 20% equity in their households. If you do not have 20% equity, but have all your other finances in order, it could be wise to make extra significant payments to eliminate your PMI. Eliminating your PMI will reduce your monthly payments, giving you an immediate return on your investment. Homeowners can then apply the extra savings back towards most of the mortgage loan, ultimately paying off their mortgage faster. No one wants to pay a mortgage any longer than mandatory. After all, having an extensive debt looming over you for years on end, racking up interest, is an unsettling feeling. Before hurrying to pay off your mortgage by exerting extra capital, or minimizing your mortgage term, it’s important to examine your entire financial landscape. Are you thoroughly funding your retirement accounts? Do you have a health insurance, life insurance, and disability insurance? Do you have enough wealth stockpiled for your child’s college education? Have your student loans, car loans, and credit cards been paid off? Only pay off your mortgage if you will be in a stable financial position afterward. It’s telling to look at effective interest rates which factor in the home mortgage interest tax deduction. If your mortgage interest rate is four percent and you are in the 28 percent federal income tax bracket, your after-tax mortgage rate is about 2.9 percent. That is a low rate. And you might qualify for tax advantages as well with your mortgage. Consider investments that will retain a higher return than your effective mortgage interest rate. If you can earn 5% or more from stocks, a IRA, or 401(k), it does not make financial sense to settle your mortgage early. Here is another example, if you are in the 25% tax bracket and you are currently paying $24,000 in mortgage interest per year, that was a tax break of $6,000 you would have given up on by paying off your mortgage. Always consult with a tax adviser, but carrying a mortgage can have the substantial tax benefits. A refinance can alter the math when deciding to pay off or pay down your mortgage. A 15-year fixed rate loan locks you into a much lower rate, plus it constrains extra principal each month. That resigns your mortgage in half the time compared to the more popular 30 year loan. A refinance with any loan term, though, can lower your interest rate so much that it no longer creates much sense to pay off the mortgage. For instance, a homeowner has a 5% mortgage rate, but current rates are near 4%. A refinance could dwindle the cost of having that mortgage enough to justify keeping it. A mortgage releases five or six figures in cash with which to invest, accomplish other financial goals, or to save for emergencies. Once you repay a mortgage, it can be complicated to get that money back. A missed payment or unpaid medical bill can plunge your credit score. That makes it more expensive, or impossible, to take out a mortgage on the property again. Before paying off a home loan in whole, make sure you will have a substantial buffer remaining after you become mortgage free.